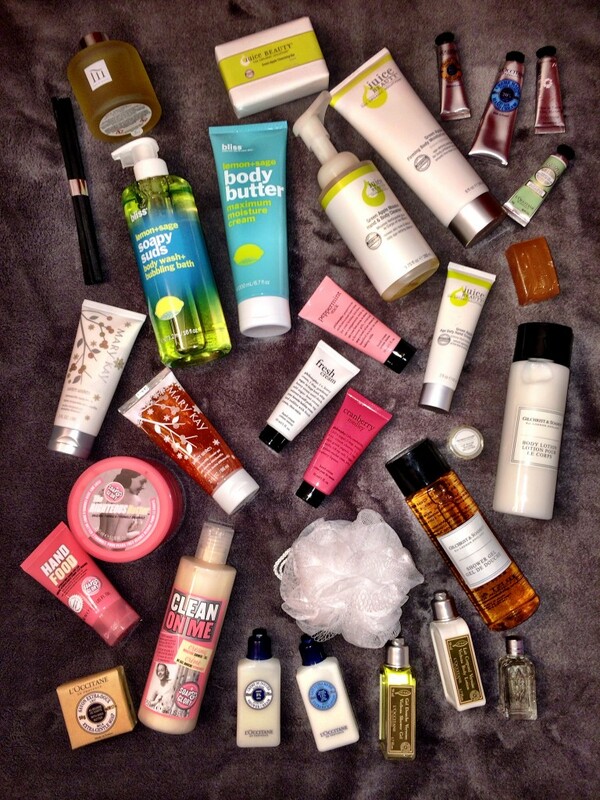 To continue the holiday gift guide fun, today I’m sharing some great bath, body and spa finds. Some of these gifts are so great that you might even be tempted to buy them for yourself too! And scroll down to the bottom for today’s holiday giveaway from Gilchrist & Soames. In case you missed it, check out my skincare gift guide, which includes a special giveaway from bliss! Lots more gift guides are coming your way in the next two weeks, so come back for more ideas. GIVEAWAY! Now through December 23, 2014, you can enter to win a Gilchrist & Soames BeeKind Collection Box Set, valued at $35. There are lots of ways to enter below and it’s open to U.S. residents. Good luck and Happy Holidays! I didn’t know that the awesome Philosophy smells for the holidays came in hand creams! That’s awesome. All of your selections are great suggestions. Great guide and giveaway! I love everything on the list! L’Occitane is my favorite luxury bath and body line, everything I’ve tried I’ve absolutely loved! My favorite is the Almond Oil Shower Gel! Isn’t it amazing? For the longest time I only tried their hand creams (which I LOVE) and now I love it all. I would share with my grandmother and mom. All the products are fabulous. That would be very nice – and thank you for reading! Love your holiday list; this set would be great to share with my mom. I would want to keep this for myself if I win but I would probably give it to my mother. I’d love to keep it but I’d probably give it to my sister-in-law!